The Soft Modular Sofa System by Jasper Morrison for Vitra is the reinterpretation of a modern classic: the ground-level sofa. The sofa not only captivates with its timeless silhouette, but also with a flexible modularity, whereby the sofa can be extended at will with additional modules. 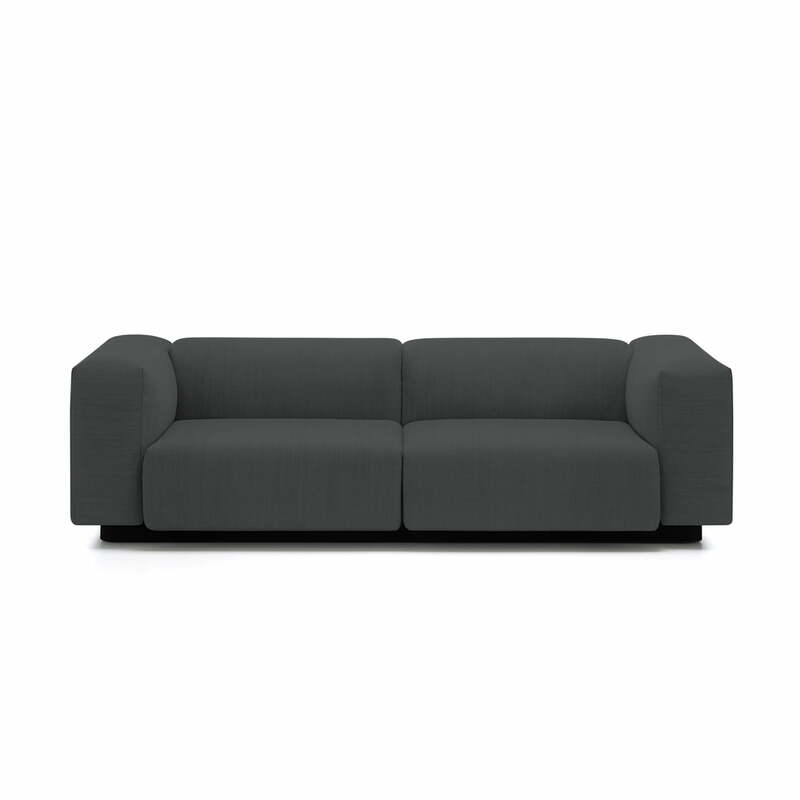 The Soft Modular Sofa by Vitra impresses with its carefully chosen proportions, high level of comfort and the renunciation of decorative details. 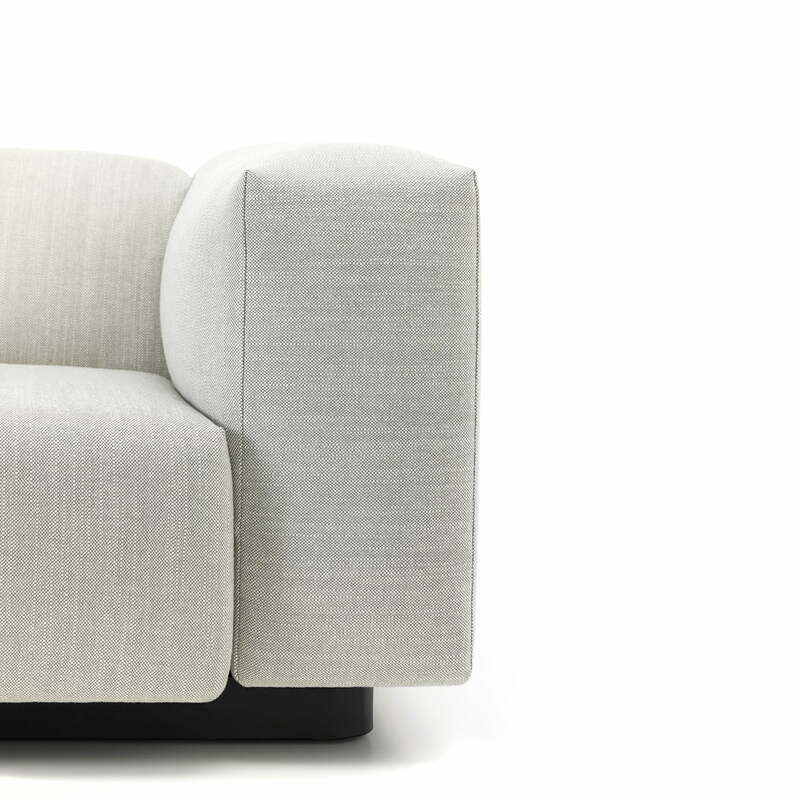 As a result, the sofa is a tasteful piece that can be subtly integrated in any interior. 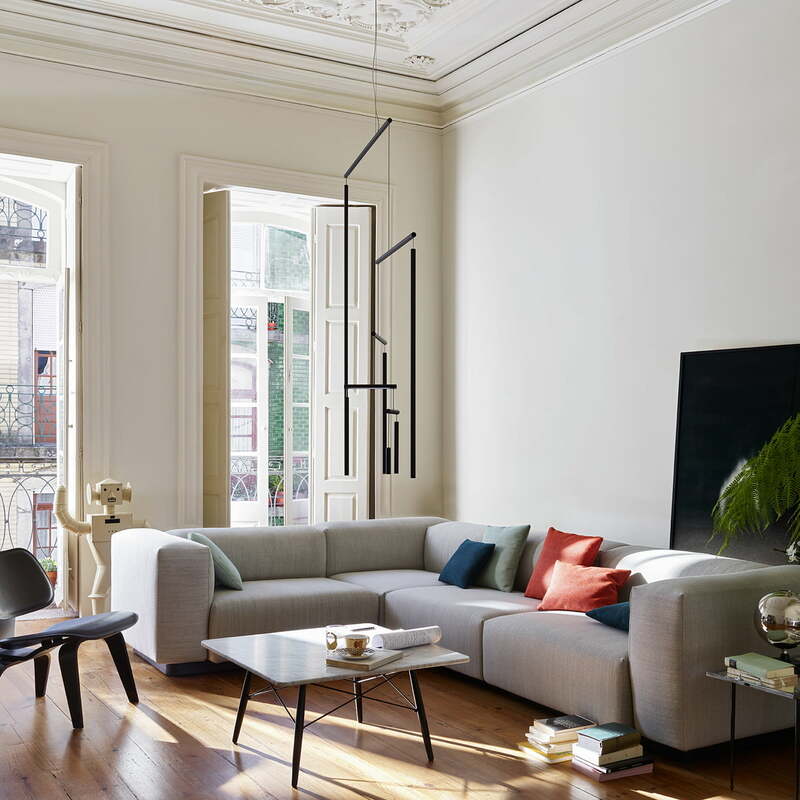 Thanks to its modular design with the side, corner and center elements, as well as the chaise longue, the size and shape of the sofa can be adapted to the room and situation requirements. 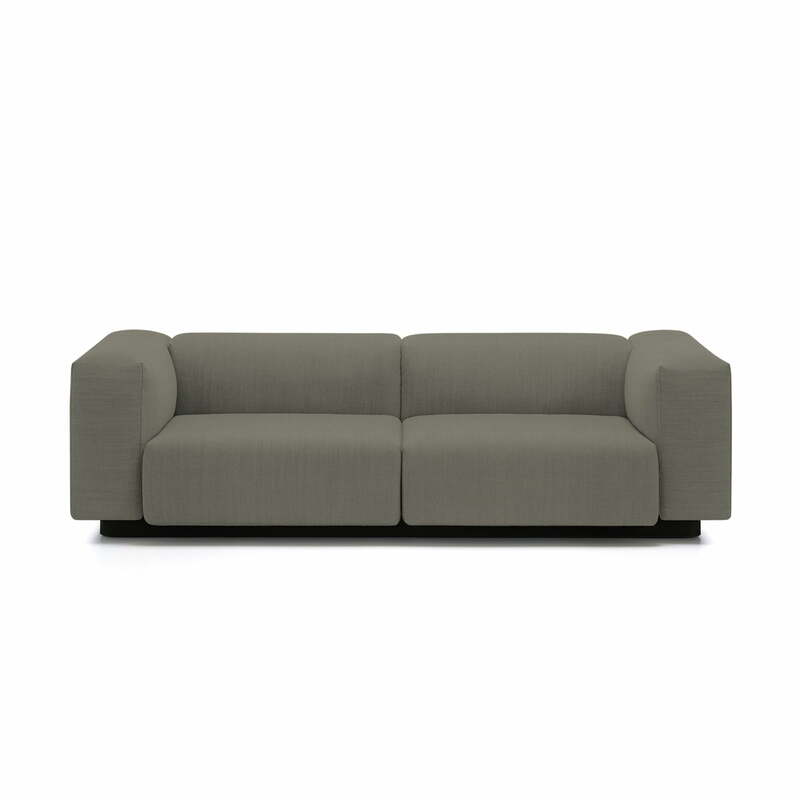 The 2-seater consists of two elements with back and side rests - making it ideal for small rooms. It can also be extended when necessary with several middle elements. 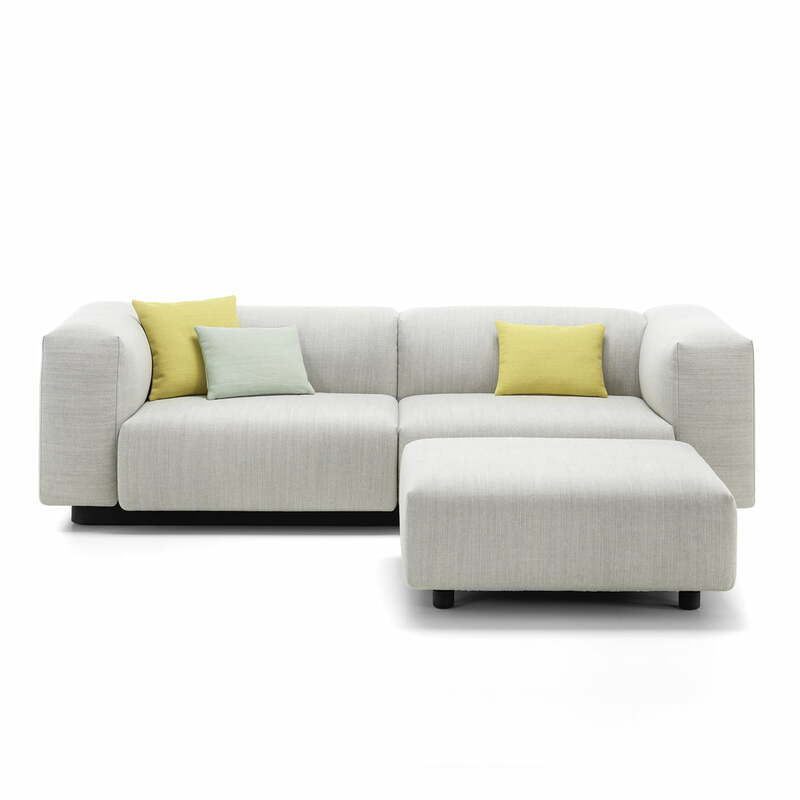 The high-quality interior consisting of various foams and a spring core provide great comfort and ensure that the cushions return to their original shape after use. The base frame is part of the functional design that enables a practical and stable connection of the modules. The rounded corners of the plinth-like platform are a reference to the sensual elegance of art deco. With the Ottoman and the extra pillows in different colored fabric and leather upholstery, the sofa can be adapted to individual needs. Seat: steel frame, wood construction, steel springs, polyurethane foam structur, visco cover. Back: wood construction, polyurethane foam structure, chamber cushion overlay. Arms: wood construction, polyurethane foam structure, chamber cushion overlay. The Soft Modular Sofa System by Jasper Morrison for Vitra is the interpretation of what is now a modern classic sofa: the ground-level and horizontally-pronounced sofa.